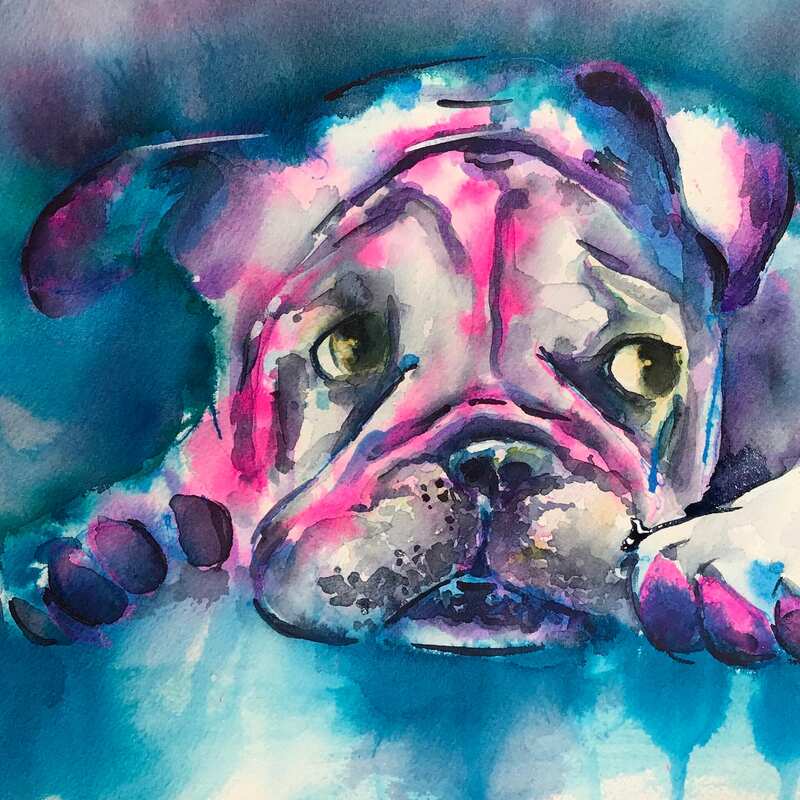 🐾 "English Bulldog Power" is an archival fine art giclee print from my original ink & watercolor painting. Gentle, easy going and couragous, the English Bulldog's greatest wish is to be your constant companion. The power of the English Bulldog is her unwavering devotion to her human. These dogs are wonderful clowns and will do just about anything to make you laugh! They are also happy to snuggle with you at a moment's notice. Lovable and loving, your bulldog will form deep bonds with her family. You simply cannot go wrong with this laid back and dependable dog at your side. 8x10 comes with white or black mat. Image is 5x7. 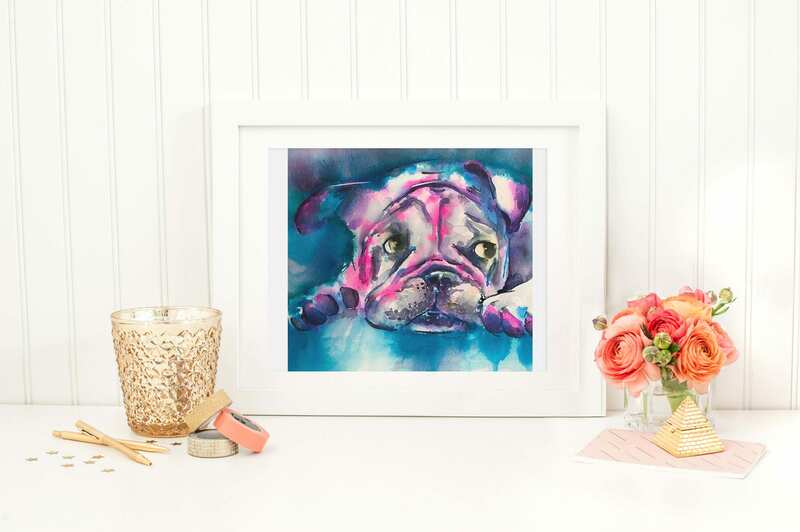 * ALL other sizes come unmatted and unframed with a small white border.